We are offering Metal Roofing Sheet. We are providing a diverse series of Asbestos Roofing Sheets. Our product is broadly admired by clientele owing to their robust structure. 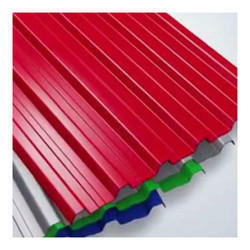 We are involved in offering the quality approved range of Fiber Roofing Sheet in the market. The offered roofing sheet is highly cherished among our patrons owing to its easy installation and durable finish features. We are involve in offering superior quality FRP Roofing Shade. These FRP Roof Shade are widely used in houses, restaurants and shops. We elegantly fabricate these FRP Roof Shade using excellent quality fiber glass.